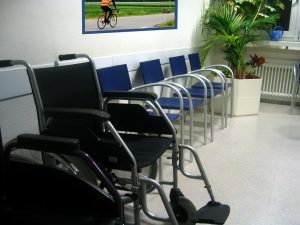 Social Security Disability Insurance (SSDI) is an option for financial assistance for Americans who become disabled prior to reaching retirement age. Qualifying for these benefits is not a guarantee for applicants and there are certain requirements that need to be met to be eligible. One requirement to receive this type of benefit is to have worked a certain number of years and paid FICA taxes. In particular, an applicant must have earned enough work credits over their working years to qualify. If a worker becomes disabled before they have earned enough work credits they can apply for Supplemental Security Income (SSI) instead. The amount of work credits required to receive benefits depends on the age of the applicant. Another requirement for people to obtain SSDI benefits is that they need to have a disability that meets SSA’s definition. SSDI benefits can be critical to disabled Americans, but are only approved for people with severe, long term disabilities. Long term is defined to infer that your condition is expected to last at least one year. The term severe disability is defined as a disability that interferes with basic work related activities. If an applicant’s condition(s) and status meet the defined requirements and they proceed with the application process they will be approved for benefits. 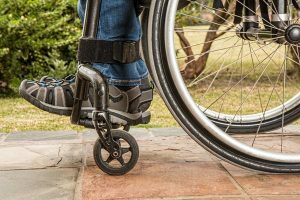 Although it can be a time consuming application process, the benefits can provide significant assistance for many Americans suffering debilitating disabilities.